Industrial production – based on working-day adjusted data – increased by 3.1% year on year in June. The growth rate came in well below market expectations and also undershot the 1H18 average. 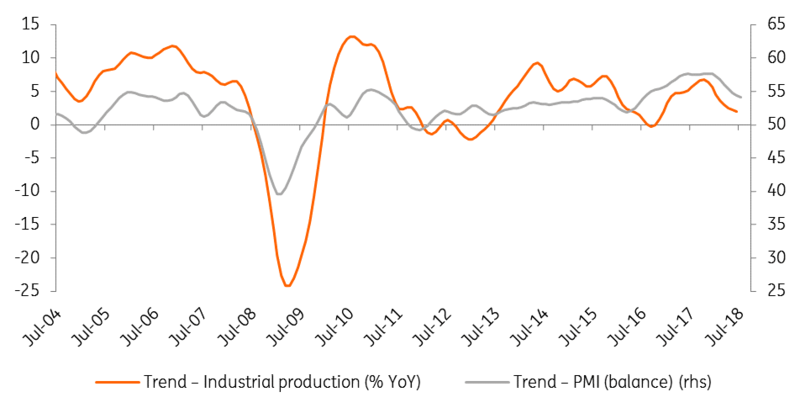 The slowdown isn't surprising in light of today’s rather poor German data and also was suggested by the slowdown in the PMI trend. After BMW's announcement last week to invest €1 billion to build a new plant producing both traditional and electric cars, it seems we need to cut back our euphoria, as reality shows the industry is unable to shift into higher gear. The Hungarian central statistical office note that electronics and food industries showed above average and average performances in June, respectively. However, it wasn't enough to prevent the whole industry being dragged down by the below average performance of car manufacturing. However, in the coming months, Audi can provide a silver lining as it starts production in July, which should finally help boost industrial production. 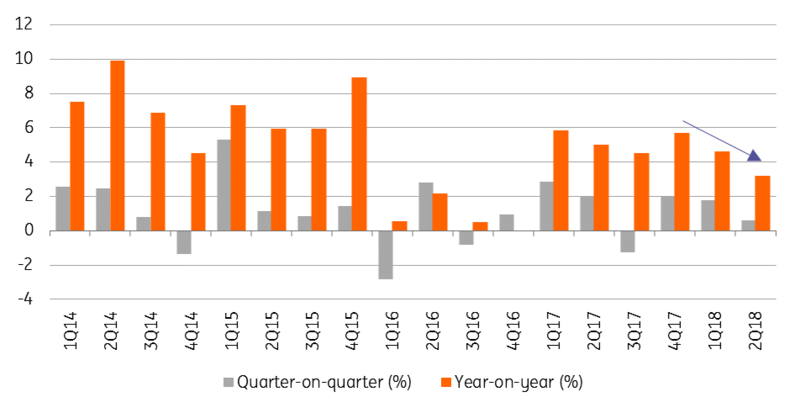 When it comes to the 2Q18 GDP data due on 14 August, we have doubts that Hungary can repeat the robust 1Q18 growth performance of 4.4% YoY. In the light of the slowdown in retail sales and decelerating growth in the industry, it's more likely that we'll still see strong but not spectacular 4% YoY growth.